I've owned this car for 9 years. It was a rotisserie restoration. 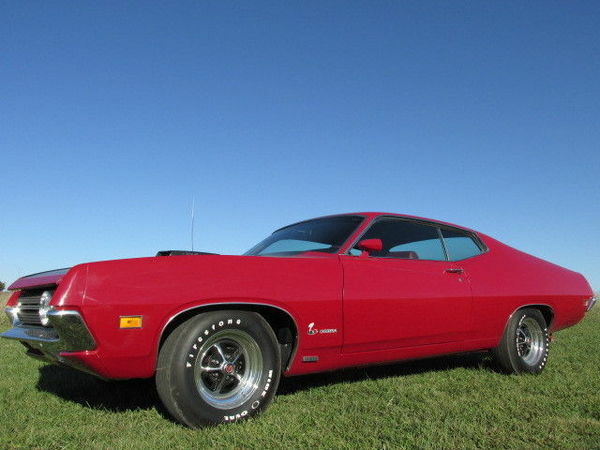 1970 Ford Torino Cobra Jet. 429. 4 spd. #'s match eng, trans, rearend. Body work receipts. A box of all the other receipts. Bias ply tires. Magnum wheels. Rev limiter. Carb restored. Very very nice car, but not a 100k concours restoration.